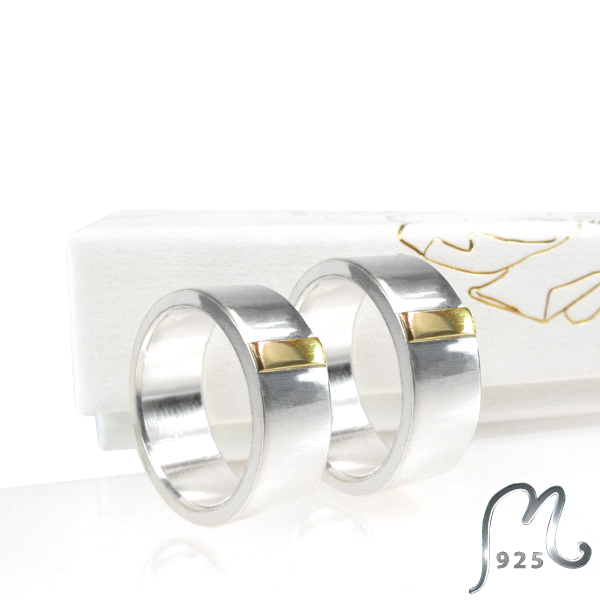 M925 Design is literally a gem for jewellery lovers! 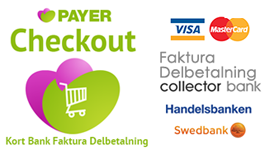 You'll get a personalized shopping experience, expertise and commitment to make you find what you are looking for, regardless you're shopping online or IRL in our own charming store in Gothenburg, Sweden. Also regardless the occasion and budget! 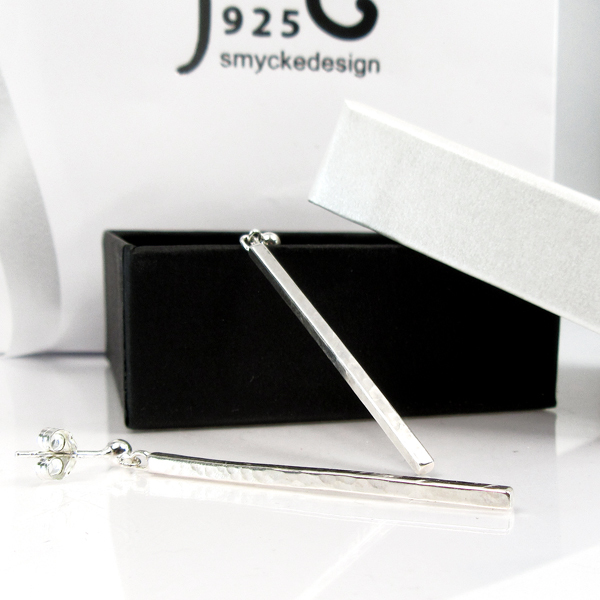 Creativity is running wild and this is where the jewellery is both made and sold. You can affect the design yourself, through various choices and options. 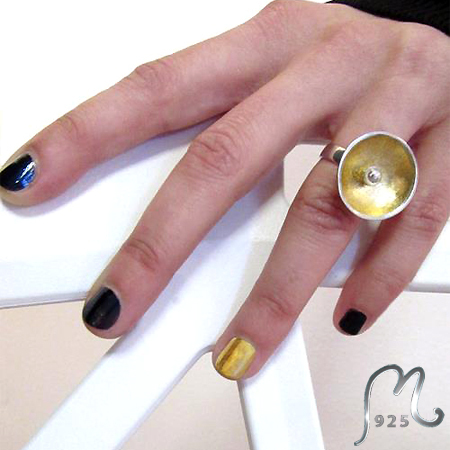 If you prefer to make your own design, we would gladly assist you! Love ribbon. 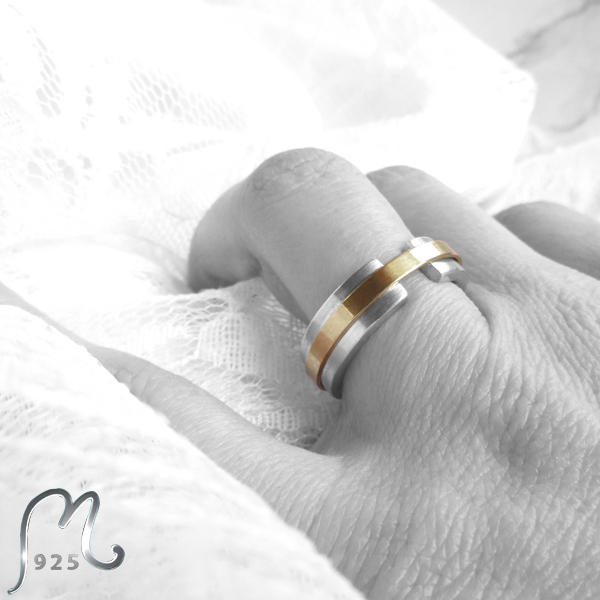 Contemporary wedding ring in white & red gold 18 c.
Horizon. Wedding ring in white & red gold. 18 c. NEW! Fields of Gold. 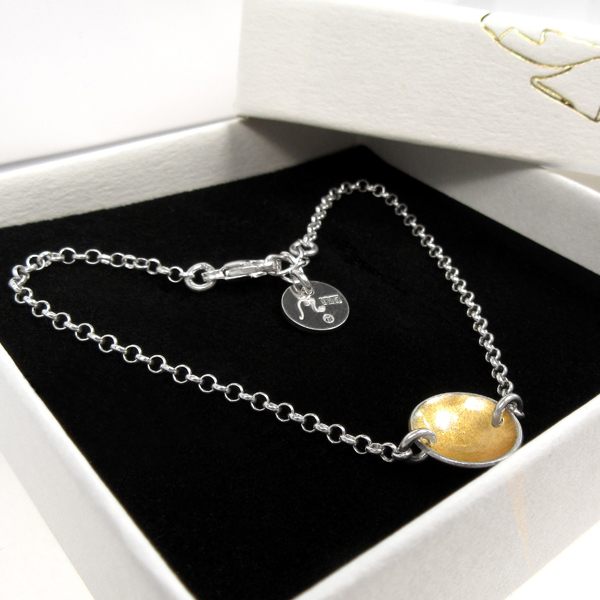 Delicate bracelet in silver & gold leaf. NEW!